Knock. 3 knocks on my bay window. What? I turn around, get out of my bed and see it&apos;s a shadow, a strange shadow that  I don&apos;t know who it belongs to. The shadow turns around and it&apos;s a crying Farkle, soaked in the rain panting for me to let him in. "Farkle! What&apos;s going on? It&apos;s almost midnight? Why are you here, it&apos;s pouring outside.."
At this point I&apos;m wondering if those drops coming out of his eyes are just the rain or actually his. "I need to talk to you. I can&apos;t do this alone." He starts wailing and at this point all I can do is embrace him into a warm and heavy hug. He cries into my shoulder. 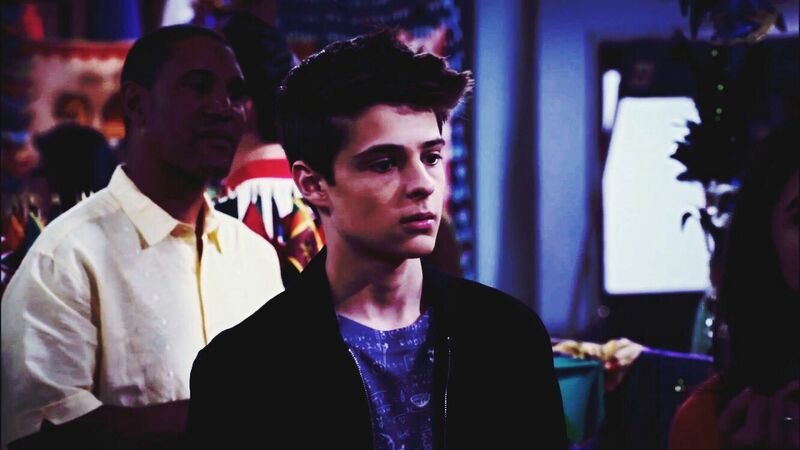 "It&apos;s what I&apos;m here for, Farkle. Just let it out. Let it all out." He comes out from the hug and smiles as I wipe his tears off of his face. "It&apos;s my parents. My mother never came home last night. She and my father have been arguing for months over business. I can&apos;t stand it. Even my positive Farkle mind can&apos;t."
He cries and I rub his shoulders and take off his wet blue jacket so he would stop shivering. "I&apos;m sorry. You&apos;ve been through a lot this month, with you and Smackle breaking up, and with your parents. I&apos;m so sorry. 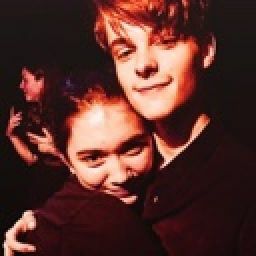 You deserve nothing but love, Farkle. And you&apos;re getting it now, okay? I love you." He blushes, and for the first time in forever, his smile lights up his whole face. I love him. I want to tell him. "I don&apos;t think I can ever love again. Because no one cares. They don&apos;t care about me enough to love me for who I am, Riley. I want someone to care. You&apos;ve always cared. And thank you SO much for that. You&apos;re the best thing that&apos;s happened for me, Riley. I truly mean it." I put my hands on the sides of his face. "You deserve the world. I love you." "No one will ever love me. I don&apos;t know. I just want to be love-"
I stop him and kiss him. I kiss him hard, because he deserves it, and he kisses back. He is taken by surprise but the kiss is sweet, and warm and we&apos;re both smiling through it together. "Wow. Little did I know one day Riley Matthews would want me. Because I need you." I pull him back towards my bed, so we can talk. (nope, no funny business tonight, my parents are still awake). We lay down. And I rest my hand on his chest as he looks over to me and strokes my cheek. "I love you, Riley. I always did. I always knew." "I love you too. And I should&apos;ve realized earlier, because what we have, it&apos;s all real and beautiful." We laugh as both of our eyes close as we fall asleep together side by side in my bed at midnight. Perfect.